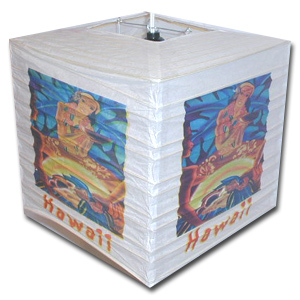 This 12 inch square hanging Chinese paper lantern has a vintage Hawaiian hula girl print on each corner.The print is from the 1930's and has a retro look. This is an Asian Lanterns original design. It's very unique and stylish. It will put you in a Hawaii state of mind!